LIMITED OPPORTUNITIES REMAIN for NEW CONSTRUCTION by Payne Family Homes in the popular Brookside neighborhood! This 4 BD, 2.5 BA, 2,480 s/f, open two story plan has a DR, a main floor Flex/Den/Liv Rm, a large Grt Rm, a Loft, convenient 2nd floor Laundry Room, sits on a cul de sac & backs to wooded common ground. Features inc an open Kit-Café-Grt Rm, 9’ ceilings, 42” cabinets, island w/brkfst bar, st steel appl, wide plank laminate flooring throughout the main living areas, Luxury Mstr Bath w/sep tub-shower, raised height dbl bowl vanities, 50 gallon water heater, an open staircase to the LL, Jeld wen Low E windows, R/I bath & garage door opener w/keypad. 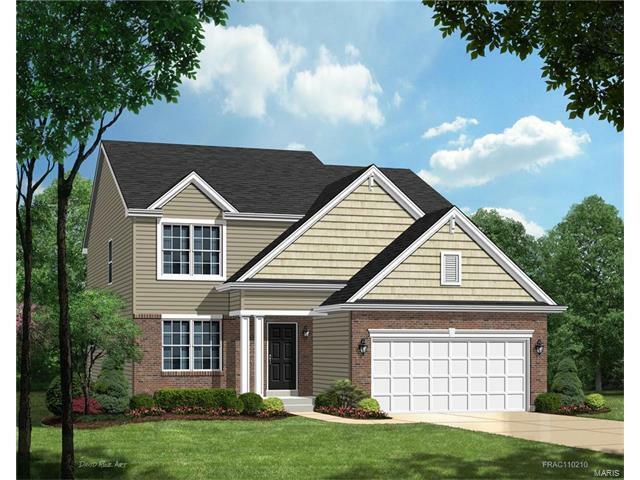 The ext is impressive w/brick, low maint vinyl siding, shake detail in the gables, arch shingles, prof landscaping, full yard sod and drain tile extensions. Enjoy community amenities inc a pool, bath house, play area & sports court as well as easy access to Hwys 70 & 40. Scheduled for a Dec 2017 completion. BE IN BY THE HOLIDAYS! From Hwy 70 take Exit 214 (Lake St. Louis Blvd), continue North onto Guthrie Road, turn Right onto Burning Brook Drive, turn Right onto Thorn Brook Drive.